Having a tiny living room, you need to look within coffee tables for small spaces and stop your choice on the one that best suits your home interior. 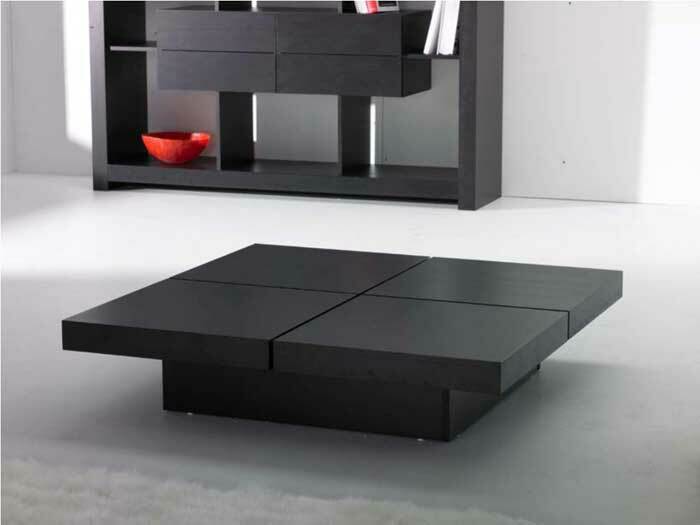 Fortunately, today coffee tables are available in different sizes to suit any space let it be an extra large or very small one. At Pottery Barn, you will find wonderful small coffee and side tables to place not only in living rooms but also hallways, patios, lodges, etc. The Benchwright Square Coffee Table the price of which has been reduced to $800, is one of the smallest tables offered at the store. The model is made of kiln-dried solid poplar and veneers whilst the multi-step antique finish stands for the moisture resistance of the table. Even though this coffee table is perfect for small spaces it has an ample storage drawer and a large shelf underneath for additional storage. This table is very rich in its unique character and can easily create a fantastic statement in any room it is placed in. Another fabulous model within coffee tables for small spaces is the Lucille Coffee Table offered at the Pottery Barn. 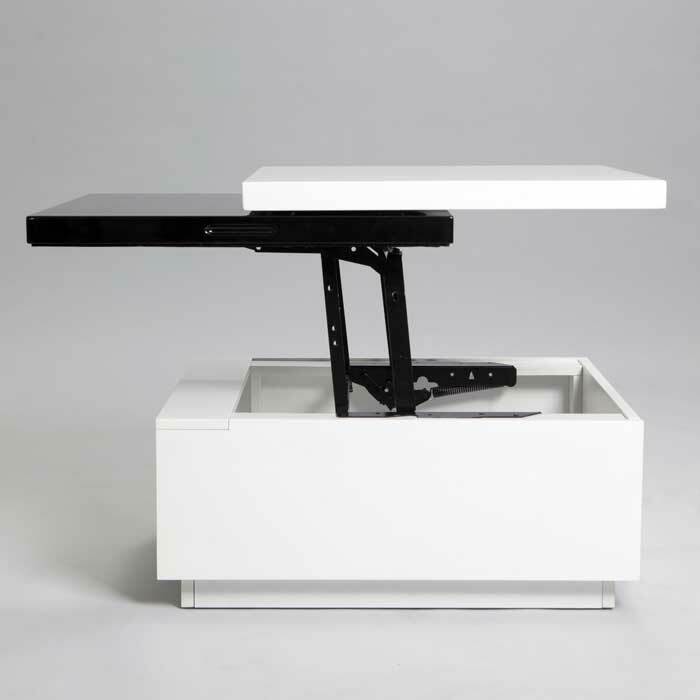 This steel crafted table has a tempered glass top that adds a contemporary touch to the model. The upper two shelves are swiveling for extra versatility and style. The unique feel and texture of the table are provided with the hand distressed look. 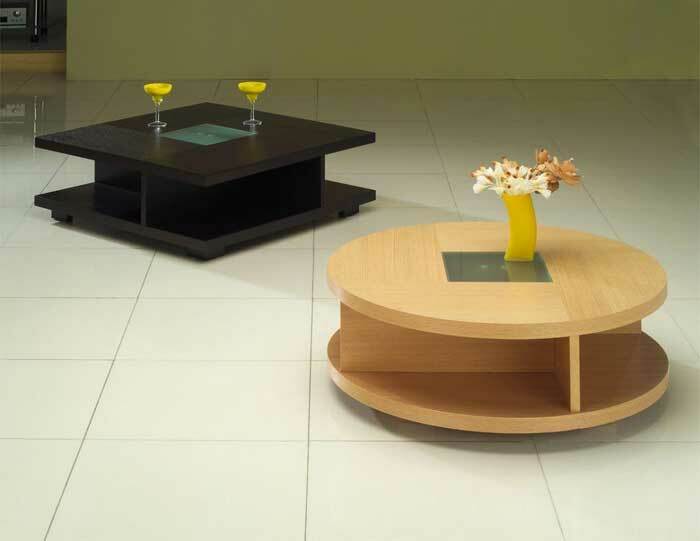 With its 30″ diameter and 20″ height the coffee table will suit into small living spaces providing vertical versatility. Like all glass tables, the maintenance of this model is not difficult. You just need to wipe clean with a damp soft cloth.